What is more dangerous? 20-30 people shot in a city every weekend, or one tourist murdered in an entire country? Both are sad cases in our modern world, but the answer here is surprising. The city is Chicago in the U.S. State Illinois. Travel and tourism and specifically conventions are big business there. In Chicago, 20-30 people get shot every weekend in different incidents. There are no travel warnings against the City or the United States as a country, except a recent watch issued by the Turkish government. There is Jordan. An economy very much dependent on travel and tourism. A country recognized for its hospitality and excellent tourism infrastructure. A kingdom that is located in a hotspot of the world but managed to remain safe. A travel destination showcasing thousands of years of history. Tourism is everyone’s business in a country like Jordan. It’s a lifeline and it has been given priority. Just before Christmas The United States of America warned it’s citizens, including citizens living in Chicago to travel to Jordan and Egypt. The reason: The Islamic State claimed responsibility on Tuesday for a series of shootings on police and tourists in Jordan over the previous weekend that killed ten people, including a Canadian woman. Jordan has been an example in a troubled world when it comes to staying out of trouble, specifically when it comes to travel and tourism. This had not changed even after last week’s incident. Realistically, the chance a tourist would get caught in an incident has about the same odds a tourist gets hit by lightning twice. The same is true in other countries. A terror attack on tourism last week targeting a Christmas market in Berlin, Germany was terrible, but the chance for a tourist to be caught in a terror attack in Germany is like winning the lottery twice. Days after the attack Germany look like a destination of widespread terror in the world’s public opinion. This is wrong and it multiplies the desired outcome a terror organization can only hope for. Tourism is a major foreign currency earner in Jordan and a major part of the economy in the Kingdom. Jordan has an excellent tourism infrastructure, it has trained and educated experts ready to show tourists thousands of years of history. Tourists taste some of the best food in the world and enjoy exploring the many shopping options, the beach in Aqaba or the Dead Sea. Hearing the silence of the desert is what the Beduin guide wants a tourist to “hear” It’s a wonderful experience. It would be in the interest of countries including the United States to assist the travel and tourism industry in Jordan to function and to expand. Travel warnings should be analyzed and explained by an independent source. 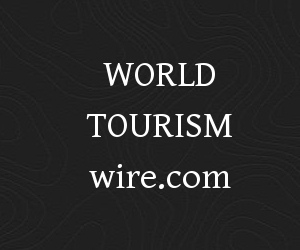 Naturally, countries have an obligation towards its citizens, but an international organization like the UNWTO could analyze a warning from a global perspective and come up with an independent and recognized version for the world. UNWTO should take a lead finding a solution within its own system or within its partner network. The travel and tourism industry creates and maintains jobs for a young generation of Jordanians with great challenges. No one wants Islamic State to recruit frustrated young jobless people in Jordan with no outlook to a better future. Jordanians are highly trained and motivated and tourism is not only considered a job but a lifestyle and an industry to belong to. Tourism is Peace, and Jordanians know this. His Majesty the King of Jordan has personally supported the International Institute for Peace Through Tourism. In the United States a young generation often unable to identify where they should belong to join racist motivated gangs, get involved in shootings and violence or become drug addicts. In Jordan, the danger to fall for Islamic extremist is a real danger. It’s in everyone’s interest to keep tourism flourishing and send a message of hope – and a travel warning may have a devastating effect. Jordanians are protective to tourism and travelers. It makes this country safe and welcoming. Travel warnings are a bigger threat to the Kingdom than terrorism. Terrorism is present, but it’s even more present in Paris, Nice, Brussels, Berlin or Istanbul. It’s present in a different form in the United States- and it kills more people. In Chicago, dozens of people get shot every weekend, but it’s not called terrorism. The world needs to work together and find a way to explain the truth and fine print in travel warnings for a concerned traveler. This article reflects the opinion by Juergen Steinmetz, chairman of the International Coalition of Tourism Partners. Steinmetz participated in a recent UNWTO conference in Jordan, that created the Petra Declaration.